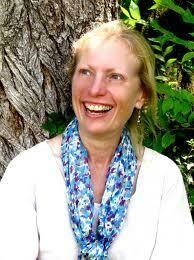 Lisa Knopp will discuss her new essay collection, Three Rivers: Journeys and Junctures. A Collection of Essays about the Mississippi, Missouri, and the Platte Rivers. Knopp has gained critical acclaim for essays that mix natural history with personal and biographical perspectives to a achieve striking insights into the bonds between the natural world and our historical and psychological experience. Knopp holds the Jefferis Endowed Chair of English, University of Nebraska-Omaha and is the author of four previous collections, including Interior Places (2008), The Nature of Home (2002), Flight Dreams: A Life in the Midwestern Landscape (1998), and Field of Vision (1996). Lisa will present our Lunch at the Library talk Wednesday, October 6, 2010 at 12:10 pm on the fourth floor of Bennett Martin Public Library. Bring your lunch and enjoy coffee provided by The Mill! Rick Cypert was our 191st Ames Reader on September 19th. He presented a lively program about Nebraska mystery writer Mignon Eberhart and answered audience questions afterward. Cypert hails from Throckmorton, Texas and teaches at Nebraska Wesleyan (since 1987). He is interested in mystery and and suspense writers. 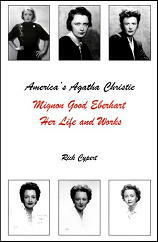 His interest in Eberhart led him to write her biography, America's Agatha Christie: Mignon Good Eberhart, Her Life and Works, (2005) and put together a new collection of her short stories, Dead Yesterday and Other Stories by Mignon G. Eberhart, edited by Rick Cypert and Kirby McCauley (2007). Cypert's most recent book is The Virtue of Suspense: The Life and Works of Charlotte Armstrong, (2008).